When I say I’ve fallen hard for a pair of booties, I’m not over exaggerating here. As most of you probably have, I’ve worn a lot of boots throughout my life, especially around this time of year. 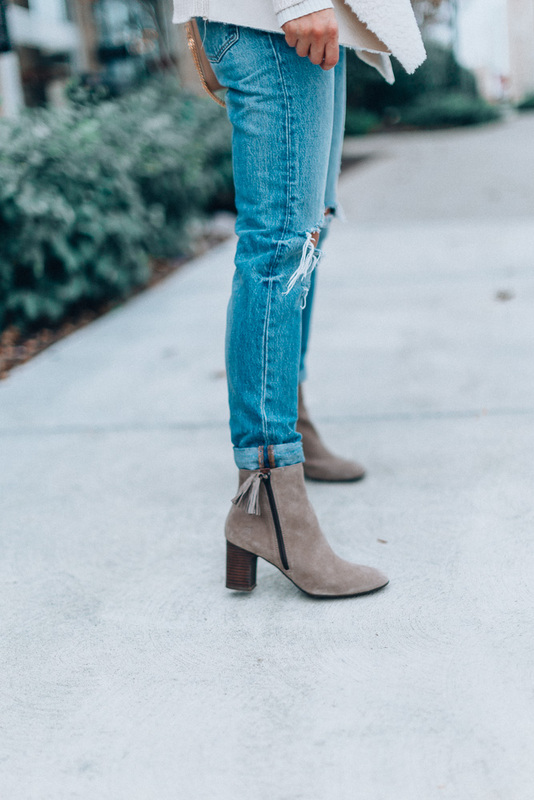 I’m definitely a bootie girl come fall and love how these go with just about anything – especially this specific pair from Born. Never have I found a pair of boots that’s so comfortable. You know how booties usually hurt your heel by the end of the day? I can wear these day after day without that problem (and have been). On top of that, they go with every shade I can think of. From denim to gray to every color in between, I’ve been pairing them with everything. 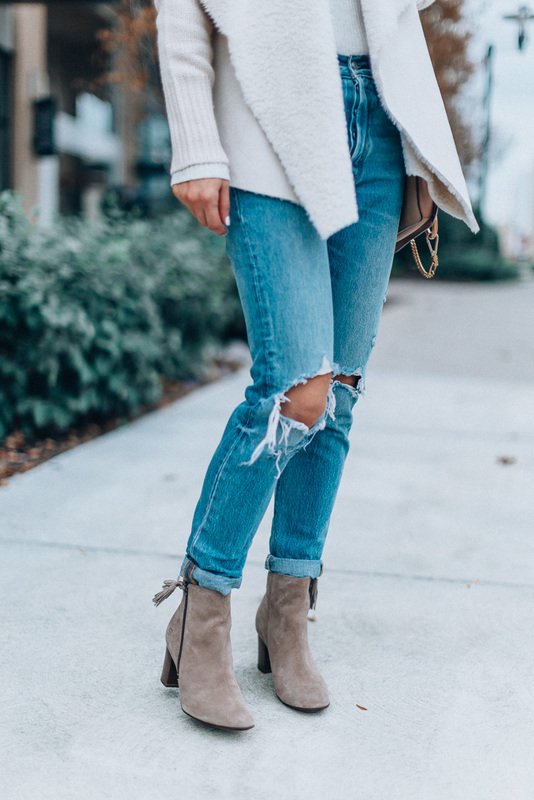 Which is so nice because I don’t need to buy a bunch of different pairs of booties to match every type of color or outfit – definitely good on the budget! Michael actually really liked the design of Born when I was first looking at these, so he got his own pair of Born boots that he’s now wearing all the time. It’s great finding a company that you know you can live in for years to come, and yet has the style I look for when shopping for trends. Plus, they have so many cute options to fit different styles, heel height, etc. But overall, I think the comfort has to be my favorite part, especially as a busy mama. Overall, I could go on and on about these booties but had to share with you guys. 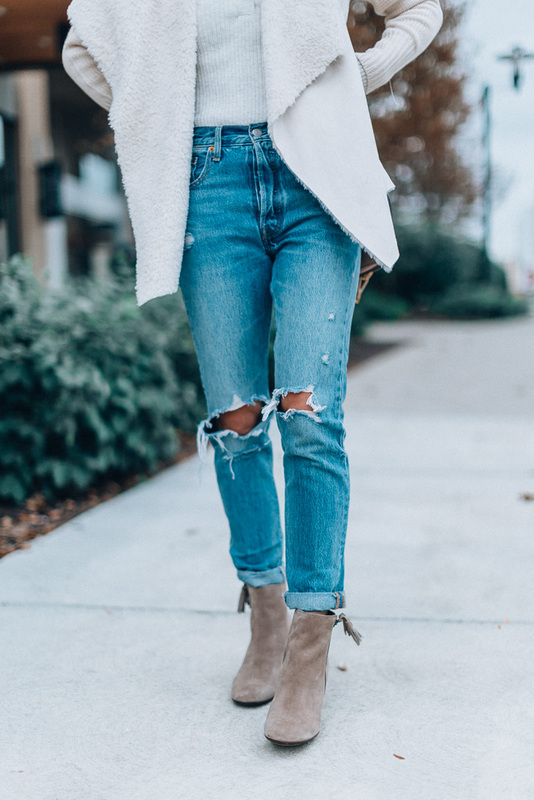 Whether you need a new pair or your hubby does, I can’t say enough about Born and these booties! Especially if you usually struggle with comfort. Get ready to see me in them all the time – no judgements. A big thanks to Born for sponsoring this post! Great post! This outfit is amazing, and I love how cute those booties look.